Supermodel actor Carolyn Murphy and made-in-Detroit success story Shinola introduce us to Lois, the perfect summer tote at just $495. Named after Murphy's late grandmother Lois, the bag brings back countless memories. “My Nana, whom I was inspired by to create the bag, we’d always do these road trips in the Oldsmobile from [Washington], D.C. She’d put her bottle of vodka, her carrots, her hard-boiled eggs and her Scrabble in this big bag, and the goal was to get to our annual reunion in Nags Head, [North Carolina]. I always remember that tote,” Murphy recalled. "I lost my Nana, and three days later, my agent called and said, 'Bruce Weber wants to shoot you for Shinola in Detroit,'" Murphy said. "So I like to think she brought us together. It was a match made in heaven." AOC covered Carolyn Murphy's Shinola partnership in the September 2017 issue of InStyle. The entire brand story behind Shinola (yes, that name of shoe polish) is so inspiring in terms of what CAN be accomplished in America to fight decay, create jobs and inspire design in America's forgotten inner cities. Detroit received a HUGE bouquet of urban development flowers with big news from Ford Motor Company. 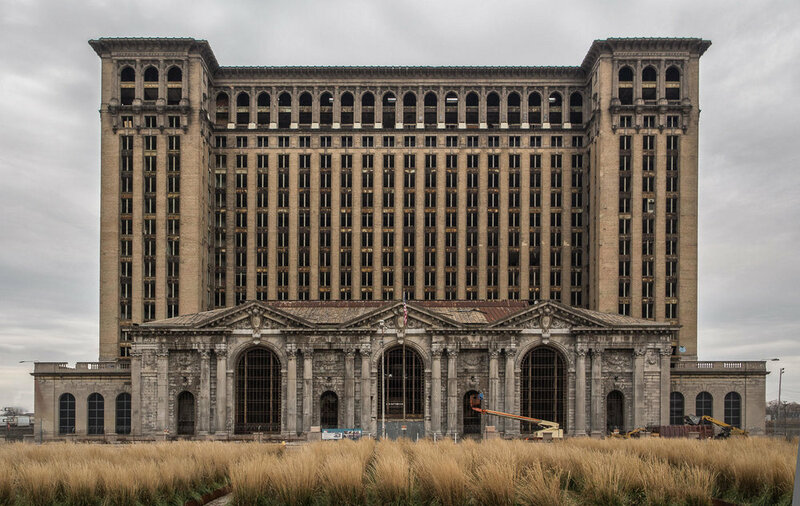 Ford announced last week that it did indeed buy Michigan Central Station and will unveil plans on Tuesday June 19 in a community celebration of its plans to create a big presence and 2500 jobs in Corktown. Details are emerging and we will reveal them on Tuesday.